Fairfax sacked three senior members of its editorial team today. In Melbourne, Age editor Paul Ramadge “announced his intention to stand down” while at the Sydney Morning Herald publisher and editor-in-chief Peter Fray and editor, Amanda Wilson announced “they are leaving the company”. The trio were sacked a week after CEO Greg Hyland’s restructure. Frey said he said it was an exciting opportunity to see what he could achieve in the profession he loved but “he didn’t have another job to go to” while Ramadge spoke of “divided feelings”. Their departure clears the way for Fairfax to move to a new management structure. In Hyland’s memo to all staff last Monday called “Fairfax of the Future”, he announced the three objectives of his cull of 1900 staff: Move to a digital-only platform, reduce costs and make profits. Hyland said his “Metro Media Business” (the Age and SMH) has grown 30% audience in the last five years. Online visitors now outnumber print by over three to one. But the business costs are predominately in the legacy space. To fix this, they will move to regional printing plants, charge for digital access from next month, reduce the size of their papers and sell a stake in NZ auction site Trade Me. Meade and Jackson note the massive restructure in their own organisation News Ltd with job losses expected to exceed 1000. Its 19 divisions will be reduced to five publishing houses in a “one city one newsroom” strategy similar to Fairfax. News is closing two divisions: News Digital Media, founded in 2006, and News Corp’s internal wire service Newscore formed three years ago. While Australia’s two biggest media companies haemorrhage staff, The Guardian is worried about losing a plurality of voices. It notes Gina Rinehart is circling Fairfax for a board seat and editorial influence. The Guardian’s comment she would “hamper Australia’s once-vibrant journalistic culture” is a bit Pollyanna-ish about the country’s journalistic culture. Right-winger Gerard Henderson calls the Age Guardian-on-the-Yarra but the Australian paper is not as good as its British counterpart. Whether it will be a choice “between Murdoch and Murdoch on steroid,” as the Guardian claims, Fairfax were never independent of their owners regardless of their “Charter of Editorial Independence”. Even in Graham Perkin’s glory days, he was rapped over the knuckles for supporting Gough Whitlam in 1972 and had to backtrack in 1974 when the board vetoed his decision to support Labor. Rinehart’s refusal to sign it will have little bearing on the content the new entity provides. It was a joyous day in Mitchell today. The Gunggari people, traditional owners of the land south and west of town celebrated a native victory yesterday with a march down the main street. “Who are we?” they chanted. “GUNG-GA-RI” was the response. Loud and proud, they were celebrating the first native title determination in mainland Southern Queensland. They marched a day after the Federal Court of Australia came to Mitchell Shire Hall to make a consent determination. Justice John Reeves announced the decision shaking hands with Gunggari elder Wayne Saunders as many people cheered and wept. The determination recognises native title rights and interests over 13,600 sq km of land and waters in central southern Queensland. The area is broken up into parcels, the two biggest of which are in the middle of a triangle between Mitchell (east) Charleville (west) and Bollon (south). In these areas, the Gunggari People negotiated Indigenous Land Use Arrangements (ILUA) with three local councils (Maranoa, Balonne and Murweh), electricity supplier Ergon, telecommunications provider Telstra and five pastoral properties. Once the ILUAs are formalised, the Gunggari Native Title Aboriginal Corporation will be the prescribed body corporate to manage the native title rights. Their rights are non-exclusive but allow Gunggari people access to travel, camp, hunt, teach, light fires and use water in the areas affected. They can also hold religious ceremonies and spiritual activities on the land. The rights are a long time coming. Queensland South Native Title Services principal legal officer Tim Wishart handed the list of documents to Justice Reeves on which the claim was based. Wishart made a powerful speech documenting the history of the Gunggari “from time beyond memory”. Wishart said the Gunggari land ran west from the Maranoa River and included the headwaters of the Nebine Creek, Mungallala Creek, Wallam Creek and Neabul Creek which together feed into the greater Murray-Darling basin. They fought to protect those lands “probably before English developed as a language,” Wishart said. They were disinclined to let European invaders have free run of the place after Sir Thomas Mitchell first explored the area in 1846. In 1855 an exasperated Crown Land Commissioner Wiseman wrote “No tribe will allow of the peaceable occupation of their country,” The whites fought back and with superior weaponry killed at least 75 Aboriginals along the Maranoa River up to 1862. In 1880, George Thorn (who served as Queensland premier two years earlier) boasted the inland Queensland Aboriginals were “pretty well shot down and got rid of”. Thorn was wrong. The Gunggari and other tribes hung on tenaciously even after losing the war to the colonials. Monitored by the border police and native police, they were tolerated as joint owners of the land until the twentieth century when the patriarchal attitudes of the new Commonwealth brought about the Aboriginal Protection and Restriction of Sale of Opium Acts 1901. Under this act the camps that existed across the Maranoa were dismantled and hundreds of people were moved east and north into alien lands at government reserves and missions at Taroom, Purga, Barambah/Cherbourg, Palm Island and Woorabinda. Most Gunggari ended up at Taroom settlement established in 1911. They stayed there until 1927 when the site was abandoned for a dam on the Dawson River. Though the dam never went ahead, they were marched north to a site west of Rockhampton called Woorabinda. Here they were among 17 different language groups under the control of the Chief Protector of Aboriginals, who was supposed to “protect them from acts of cruelty, oppression and injustice.” Instead he turned a blind eye at best, or ran schemes at worst, to rob Aboriginals of what little they had. The few Gunggari that remained on country didn’t have it easy either. They gravitated to Mitchell and were housed on the Yumba (“camp”) on the eastern edge of town near the Maranoa River. At the Yumba, Gunggari elders spoke their language but repressive white attitudes discouraged them from passing on their knowledge to the next generation. They did pass on the cultural laws and customs and hunting traditions. Yumbas were often shantytowns and Mitchell and Surat demolished theirs in the 1960s. The people moved into town and started meeting the whites in school when previously they would only ever meet on the rugby league or netball field. The 1967 referendum, the Keating Redfern speech and Mabo and Wik decisions slowly changed attitudes. Robert Munns for the Gunggari People first filed a native title application in March 1996 and followed it through despite no legal representation for 11 years. The application was modified in 1998 to reduce the covered areas and the application was split into two parts in 2001. In 2007 Queensland South Native Title Services became the legal representative and they registered an ILUA with the Queensland Government in 2008 for the first part which saw parcels of land change hands in the Dunkeld area south of Mitchell. Friday’s decision was for the second half. Munns did not live to see it. He died in July 2009 and five others continued the application. Bemrose, the first Aboriginal member of Opera Australia, said he was always proud and honoured to represent the Gunggari. “This moment is acknowledgement of our people’s continued bond with the Maranoa and the persistence, dedication and strength of a few to do all possible to again connect our land to all Gunggari past, present and future is amazing,” he said. As Wishart concluded in Court on Friday, the determination has confirmed what the Gunggari already knew: the land was theirs. Assange quotes US embassy cables released by his own Wikileaks project that say Correa is the most popular president in Ecuadorian history but he was taken hostage in a 2010 coup d’etat. Assange said Correa blamed the coup on corrupt media and launched a counter-offensive saying the media defines what reforms are possible. Assange began by asking about Ecuador’s relationship with the US. Correa quoted Bolivian president Evo Morales who said the US is the only country in the Americas safe from a coup because it doesn’t have a US embassy. Correa said he had to shut down the funding the US provided to Ecuadorian police by increasing their salary. Correa said he wasn’t anti-American and got two degrees there but he would never allow Ecuadorian sovereignty to be compromised by the US. Correa said he wanted Wikileaks to release all the cables as they had nothing to hide. Assange asked about kicking out the US ambassador after the release of the cables. Correa said she was right wing with 1960s cold war attitudes. She accused Correa of deliberately appointing a corrupt police commissioner and had ill-will against the government and her contacts were leaders of the opposition. Correa defended his growing relationships with China, Russia and Brazil. Assange said he had been fighting for the release of information and asked if Correa’s reforms were a step in the wrong direction. Correa quoted an Argentina book about Wikileaks which said Ecuadorian media did not publish. He has long supported Wikileaks. “We believe, my dear Julian, that only things that should be protected against freedom of speech are those set in the international treaties,” Correa said. He said media power is greater than political power in Ecuador. “They usually have self-serving political, economic, social and above all informative power,” he said. He claimed the government were persecuted by journalists using insults and slander – mass media serving private interests. With most TV stations owned by bankers and no public stations, he faced merciless opposition to any banking reforms. “These people disguised as journalists are doing politics for fear of losing the power they always had,” Correa said. Assange agreed with his market description of the media which had censored Wikileaks material for political reasons. However he said the correct way to deal with monopolies or cartels was to break them up. He asked could Correa have made it easier for new entrants. Correa said what they were trying to do was making one third of TV stations for the community and non-profit, one third commercial and the final third state owned by governments and councils. He said his 2008 law has been systematically blocked by big media and their lobbyists. I’m reading Ben Hills’ monumental biography of the great Age editor Graham Perkin “Breaking News” and it makes me break into a wry smile when I hear of the 1900 job losses and other sweeping changes announced today at Fairfax. A smile seems harsh when so many livelihoods are at stake in Australian media. Yet I see it as a natural step of an industry that must change to avoid death. Reading Hills’ account of The Age in the stultifying days before Perkin took over in the 1960s, the real wonder is how the newspaper has lasted this long. The paper was moribund, uninteresting, under the thumb of the government, hamstrung by libel laws, and almost bled to death by the Syme family who cared more about dividends than the paper. Perkin and his go-getting managing director Ranald McDonald turned the Age into a vibrant newspaper. I believe both Perkin and McDonald would have supported today’s moves by Fairfax CEO Greg Hyland. No-one picked up on Jaspan’s point: why can’t generalist papers be like the WSJ and the FT and be expenseable costs? This is intervention governments could make without compromising the independence of the publications. Make subscription to a news publication a tax expense. Why wouldn’t a businessperson in Sydney not want a subscription to the Sydney Morning Herald? Even with its now denuded newsroom, it is still the biggest source of journalism in Sydney and would have access to information – not just financial information – vital to the success of any local enterprise. Wouldn’t governments and big business want to encourage this information sharing by making buying a newspaper a taxable and/or expenseable item? Ultimately newsprint is not a practical way to deliver news in the resource-conscious 21st century. Why should trees die for newsprint? And then there is the distribution costs —trucking copies to newsstands and homes, then back to recycling centres or worse still landfills. Slate argues the jury is still out whether online is more energy-friendly but the fact remains more people now prefer to get their news online. There is no lessening of thirst for news. People will pay for it. Fairfax have recognised where the future is. Now they have to make sure there are enough content makers to provide the niche content for their markets. They may or may not make it but that is not our concern. I would not mourn Fairfax’s passing if it dies. Jason Wilson in Restless Capital calls it a collapse but I call it changing times. Twentieth century newspaper companies are like carmakers, only without the subsidies. Companies that cannot understand that, deserve to die. There may be a small deficit of news if Fairfax disappears but something will fill the gap. Maybe we will lose investigative journalism but that didn’t exist much before Graham Perkin anyway. The much loathed – but still popular – Today Tonight and A Current Affair show current affairs is still popular in tabloid form. The death of big journalism is not the end of the world and it won’t end investigative journalism. People will still flock to newsmakers and also come to those who tell the story behind the news. Someone, somewhere – if not Fairfax – will learn how to do that digitally with a profit. Newsrooms may go but news will survive. The issue of slavery doesn’t seem like a 21st century problem but it is still a real issue in many parts of the world, including Australia. Attorney-General Nicola Roxon recognised the fact this week announcing new laws to criminalise forced marriage, forced labour and organ trafficking. Roxon said Australia wasn’t immune from slavery and people trafficking. The new bill tackles worker exploitation, ensures those who help to enslave or traffic can be charged as well as those who keep slaves and allows for reparations with up to 12 years in prison for forced labour charges. The news comes a week after an Irish publication revealed slavery exists in Ireland and is exported to Australia. The Cork Independent quoted from a new book called ‘Open Secrets: An Irish Perspective on Trafficking & Witchcraft’ based on data from the Trafficking in Persons Report issued annually by the US Department of State. Book co-author David Lohan said the data was available for several years but the issue was under-reported. The report found Irish and Filipino people on 457 visas were “fraudulently recruited to work temporarily in Australia, but subsequently are subjected to conditions of forced labour, including confiscation of travel documents, confinement and threats of serious harm.” It quoted a $174,000 fine to a Perth construction company in 2008 for violations of the Workplace Relations Act for “the deliberate exploitation of Filipino and Irish migrant workers.” The workers were not entitled to move between employers and presented with undated work agreements while being denied the required documents outlining their rights. Australian Minister for Immigration and Citizenship, Senator Chris Evans welcomed the fine at the time and warned the exploitation of workers would not be tolerated. The Cork Independent said slavery exists in Ireland today because of a demand. “Irish people are willing to use, abuse and exploit their fellow human beings for economic benefit or their own gratification,” it said. Slavery is as old as human society. It was codified in the Babylonian Code of Hammurabi 3800 years ago and accepted in the Old and New Testaments. Exodus 22:2-3 allows for a thief to be sold if they cannot redress their theft. Ephesians 6:5 cautions servants “who are owned by someone must obey your owners”. The classical Greek definition of democracy glossed over slavery and it was a key component of the Roman Empire economy until gradually replaced by serfdom. Slavery gained a new lease of life in Western Europe with the opening up of the Americas in the 16th and 17th centuries. The Atlantic triangular slave trade brought textiles, rum and manufactured goods from Europe to Africa, slaves from Africa to the Americas and sugar, tobacco and cotton from the Americas to Europe. Liverpool and Bristol merchants combined with American cotton producers and the slave-trading kingdoms of western and central Africa to move 12 million Africans across the Atlantic in three hundred years. The trade in humans kept the American cotton industry profitable. Slave rebellions in the sugar islands of the Caribbean created a terror the cotton economy was next and thousands of white Americans signed up for the revolt to protect their livelihood. But Britain was a dubious saviour. Slavery was still legal in the British Empire and attempts in parliament to ban it were rejected on the grounds it would give France too much of an advantage in the Caribbean sugar trade. When the slave ship Zong’s captain threw 122 sick slaves overboard to get £30 a head compensation for their loss at sea, it spurred campaigners such as Granville Sharp (a founding father of Sierra Leone) and Thomas Clarkson to lobby for change. But even when revolutionary France rejected slavery (Napoleon re-established it in 1802), a suspicious British parliament would not immediately follow suit. It wasn’t until 1807 the slave trade was made illegal in Britain and also in the US. 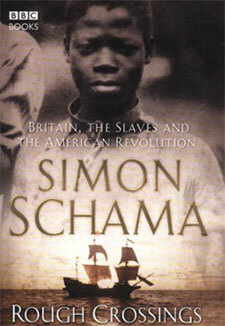 But the economic benefits of slavery continued in both countries until Britain made it illegal in the Empire in 1834. The internal contradictions of the US system were brilliantly exposed by 28-year-old runaway slave Frederick Douglass who wowed Britain when he toured in 1846. The articulate, witty, handsome and charismatic Douglass gave a dramatic account of cruelty in the plantations and lived constantly under the fear of re-capture. The book on his life was an immediate best seller. The Thirteenth Amendment abolished slavery after the South was defeated in 1865, but the attitudes Douglass saw in Lincoln, lingered on. Slavery went under a different name abetted by Jim Crow Laws. Australia too enslaved its blacks by making them wards of the state. While most schemes were wound back by the 1960s, slavery continues to be a worldwide issue. In an article about South African slavery, Time said there were more slaves around today than ever. “Slaves are those forced to perform services for no pay beyond subsistence and for the profit of others who hold them through fraud and violence,” said Time. Slavery is likely to continue as long as humans have economic value. The Lock the Gate Alliance which represents a coalition of landholders opposed to coal seam gas in the Surat Basin has released a video called Condamine River Gas Leak. It shows footage from an organisation called Gasileaks taken along the river at an “undisclosed location”. There was bubbling activity at the surface and some kind of meter that went berserk when placed near the bubbles. It might be difficult for Pratzky and other blockies in the Lock the Gate Alliance to do exactly that. This is their life and they don’t want to move on. Yet I fear they – and others who want an industry moratorium – are placing themselves outside the conversation about how the industry should evolve. Origin Energy, the petroleum tenure holder in the location where Pretsky filmed (a fishing spot south west of Chinchilla known as the “coal hole”) confirmed what Thomas told us. “According to local knowledge it goes back at least 30 years and naturally occurring gas has been a phenomenon in the Queensland Western Downs region for more than 100 years,” Origin said. The answer is the same as who will monitor water depletion: a mix of the Queensland Government Department of Natural Resources and Mining and the petroleum tenure holders. Many in the Roma forum I attended asked if this was leaving the fox in the charge of the henhouse. The Queensland Water Commission’s response was that if holders did something wrong, they’d be found out. There would be anomalies in the results that would stand out. If this is correct then we need to maintain trust. Trust of the companies to do the right thing and trust of the regulator to pick up the anomalies if the companies don’t do the right thing. The gas majors all have the profit imperative but are bound by strict rules and environment conditions to get the green light for their enterprises. With the pressure to meet their export commitments once the gas comes online in 2014, those companies will need to be squeaky clean so the regulator does not have a reason to hold them up. What does need to be looked at is the quick gobbling up of Australia’s natural resources. According to mining critic Paul Cleary, Australia has the 12th largest reserve of gas but is the world’s second largest exporter and heading towards number one. Gladstone Port in Queensland is the home of four of the eight big LNG plants and Bligh Government incentives drove gas consumption for the local market. Now the high oil price is driving massive investment in coal seam methane for LNG. The problem is the price of natural gas on the New York-based Henry Hub has been declining for over a year and will mean the companies will have to reforecast earnings or else dig for more gas. With governments greedy for royalties, knowing the saturation point will be critical for the success of the industry and the regions. As the Surat DWIR proves, having good legislation supported by science will be critical in keeping an even keel.